What do Qatar 2022 do? 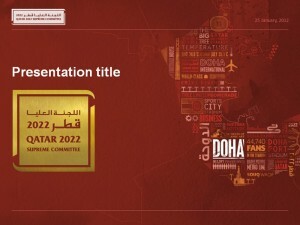 The Qatar Supreme committee were awarded the 2022 World Cup tournament by FIFA in December 2010. The committee set up Qatar 2022 to oversee the tournament, construction of the venues and marketing, and to create the full organisation to complete the task. What did Qatar 2022 need? We had worked for Qatar 2022 with an international design business throughout 2013/14 on PowerPoint presentations and template work for promotion, service partners and contractors, but were called one day by the Head of Communications to discuss quite a different project. Every organisation needs the correct documentation and forms, and Qatar 2022 was no different. The organisation were tasked with building an administration system to design, manage and complete contracts, development and certification milestones for the 2022 events. To do this, they needed nearly 200 forms, stationery and other related documents. This would include everything from a letterhead to a key request form, or a report to a contractor’s health and safely agreement. We met the client in London to discuss the complexity of the project. We organised the system by department, but designed a common framework for the branded documents. The existing brand guidelines didn’t stretch to stationery beyond a simple letterhead and business card, so we developed the design based on the guidelines and a discussion with the original designers. Almost 200 documents, forms and stationery were produced. 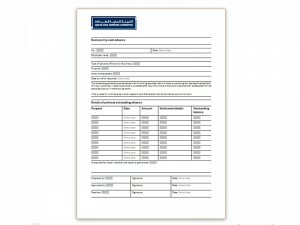 We created templates in English, dual-language and Arabic versions. Once the initial layouts were approved, we embarked on the first 90 templates spanning six departments. We agreed a very tight set of rules with the client for everything from typography to how the forms worked. Compatibility was important, due to many organisations and companies having to use the documents over a nine year period, and we tested the templates in three different versions of Word or Excel. Each department fed back revisions or content changes over time and we set up a separate team to do this. The full set of templates were delivered, with support continuing for another month, which included altering questions, updating notes and small revisions, where required. Around six months later we received an email from them saying that the documentation was well received and working well in the ever-expanding organisation.